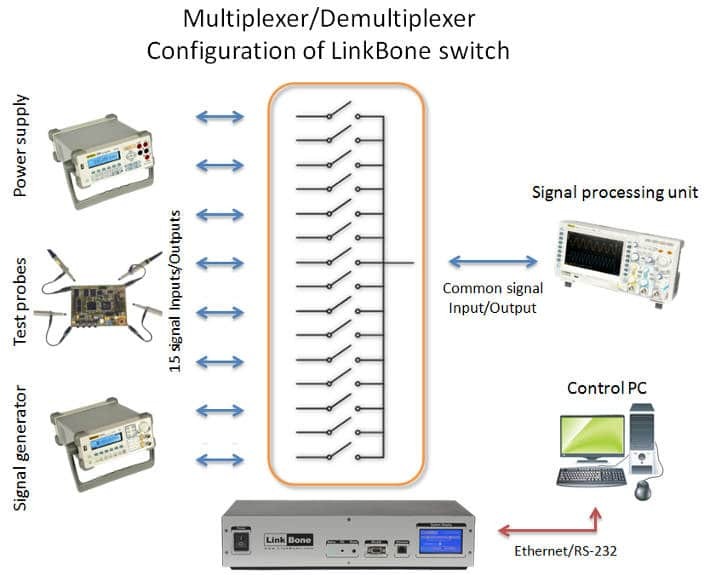 The LinkBone family of manageable switches was made for applications where signal switching between different endpoints is needed. 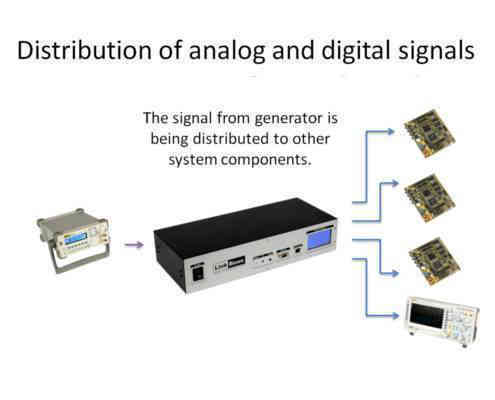 Example of such a system can be an oscilloscope or other signal processing unit connected over an LinkBone switch to a set of test points with analog or digital signals. 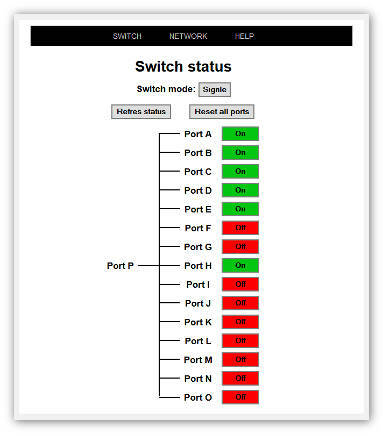 The each individual switch can be controlled manually or via a test script from remote PC. 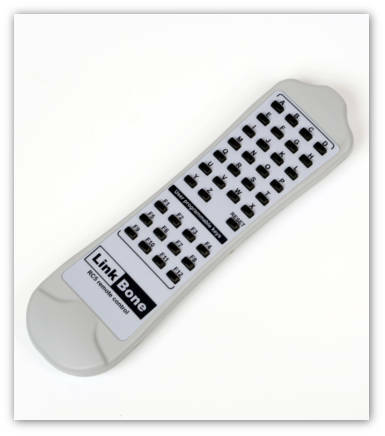 The LinkBone switches were designed for ultra low signal distortion . 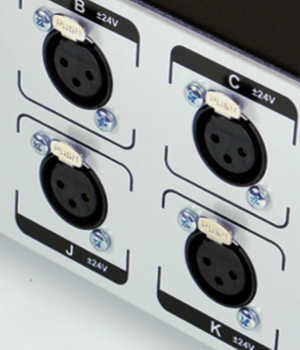 The internal signal lines were carefully engineered for precise line impedance matching. The expected life of internal switches is over 100 000 000 cycles. For measurement and test automation in professional laboratories or assembly lines LinkBone family of products is perfect choice. The internal switching network was carefully designed for low signal distortion for DC to 50Mhz signals. 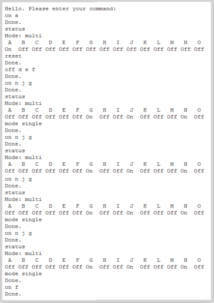 All switching network lines are bidirectional. 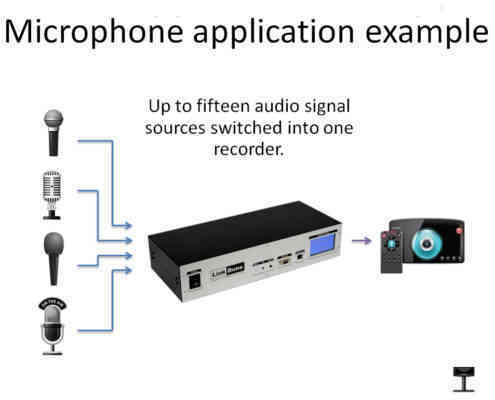 All LinkBone devices have easy to use visual Web interface making it possible to control the state of the device anywhere. 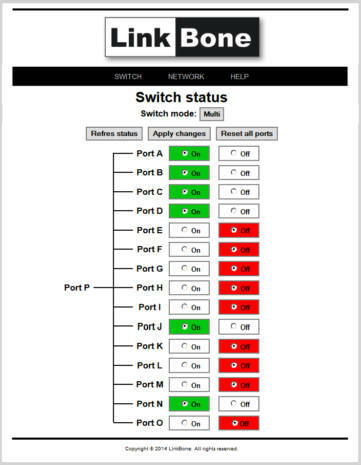 The state of internal switches does not change after interruption or disconnection of power supply. 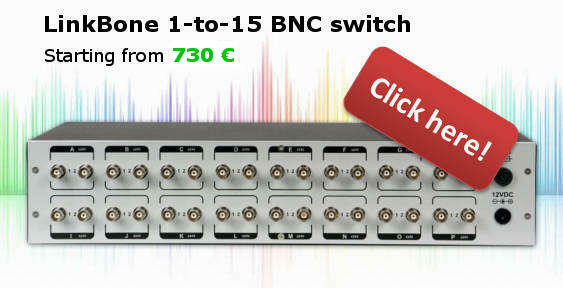 Single line switch with gold plated BNC connectors is perfect solution for switching single ended signals. 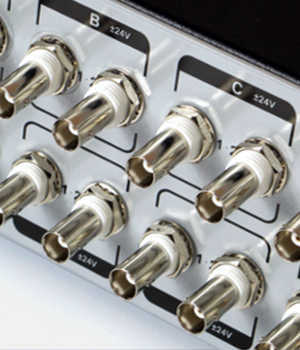 Dual line switch with gold plated BNC connectors is dedicated for applications where switching of two parallel lines is needed (e.g. 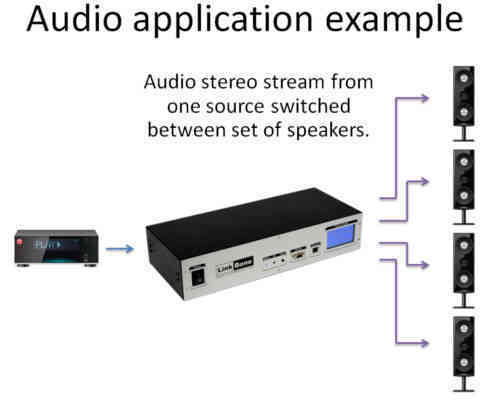 stereo. 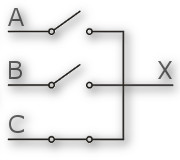 differential signals or two single ended lines). 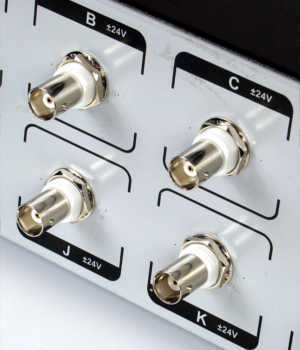 XLR switch with gold plated connector contacts includes two signal and one common ground line. 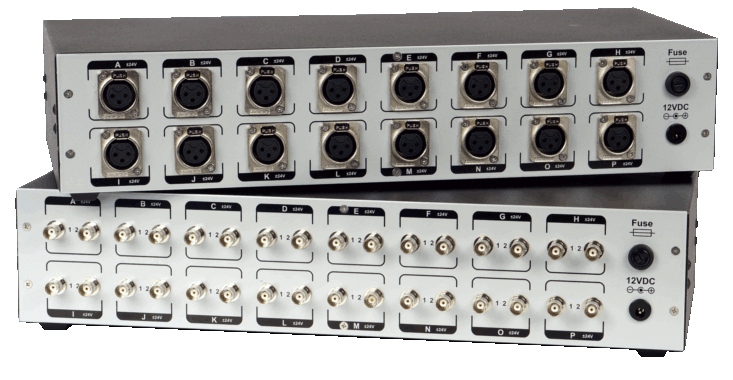 Can be used directly for audio or like Dual switch for routing two parallel signal lines. The laboratory instruments can be expensive. 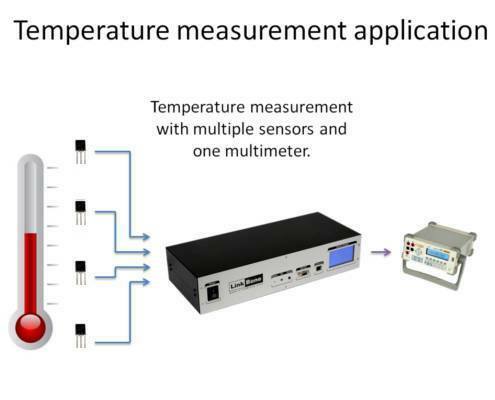 Setting up a multiple test instruments at a single test place may not be optimal solution. LinkBone switches make sharing one instrument between different endpoints possible. 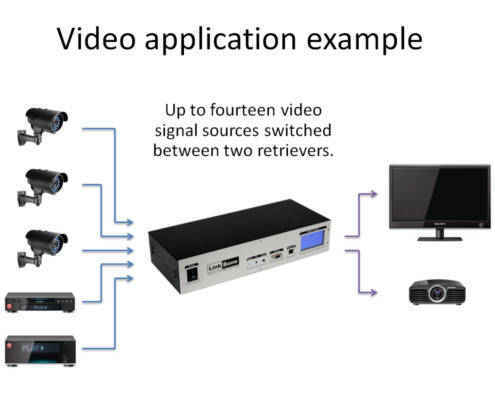 The LinkBone switches are perfect choice for video and audio applications. 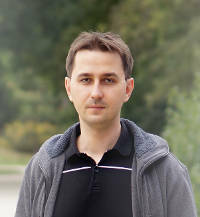 my name is Martin and I am the originator of LinkBone manageable switch concept. During over 15 years of experience in electronic industry I have realized that there still is a lot to be done in measurement and test automation environment. 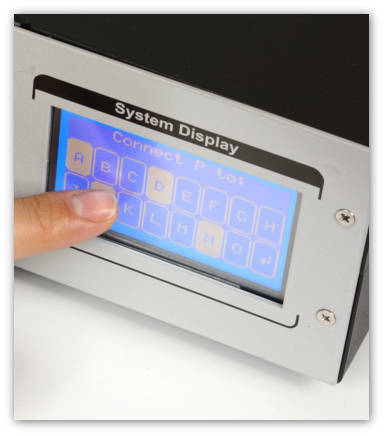 The existing test equipment available on the marked is very expensive or with limited functionality. 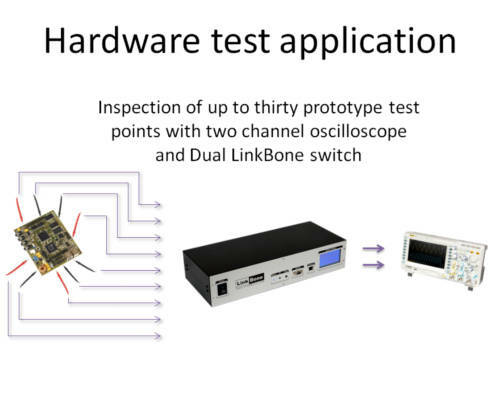 That is why LinkBone was established to provide flexible and easy to use solution for engineers working in the field of HW prototyping and testing.